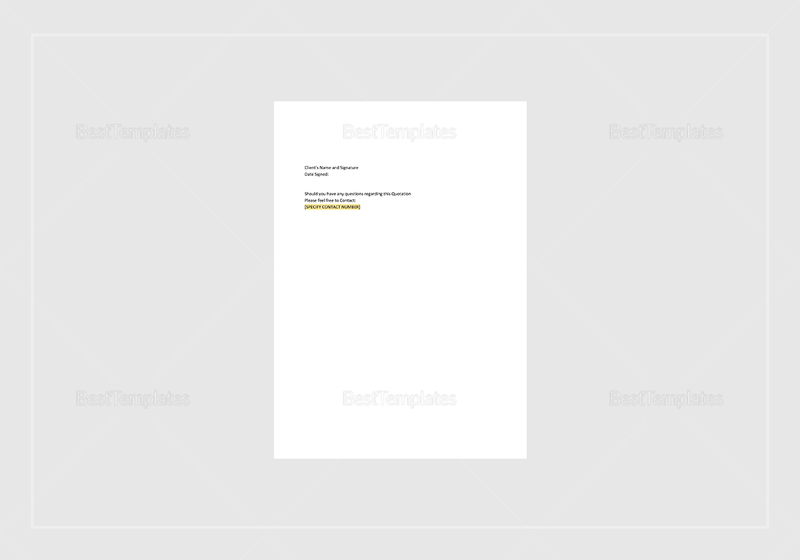 The Basic Quotation Template is sure to help you out when you’re in a tough pickle. This is available in A4 and US letter size. 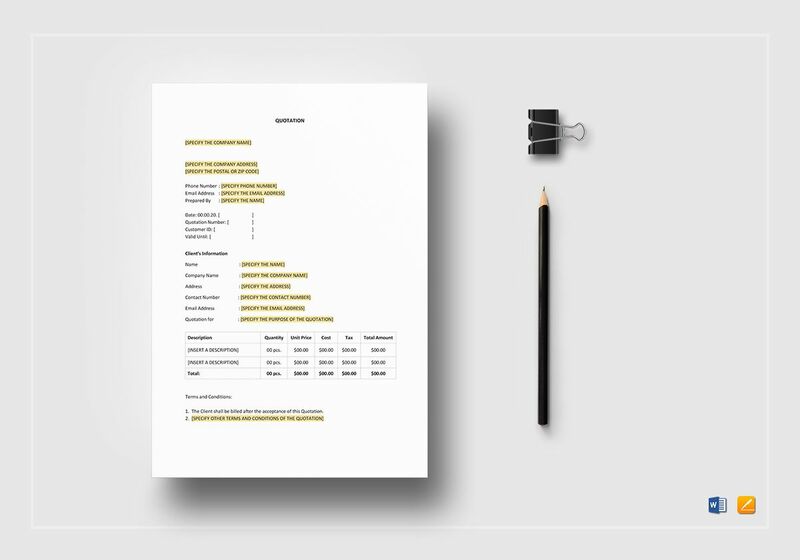 It also comes easily editable and highly customizable; in fact, you are encouraged to replace the highlighted text with your own information. 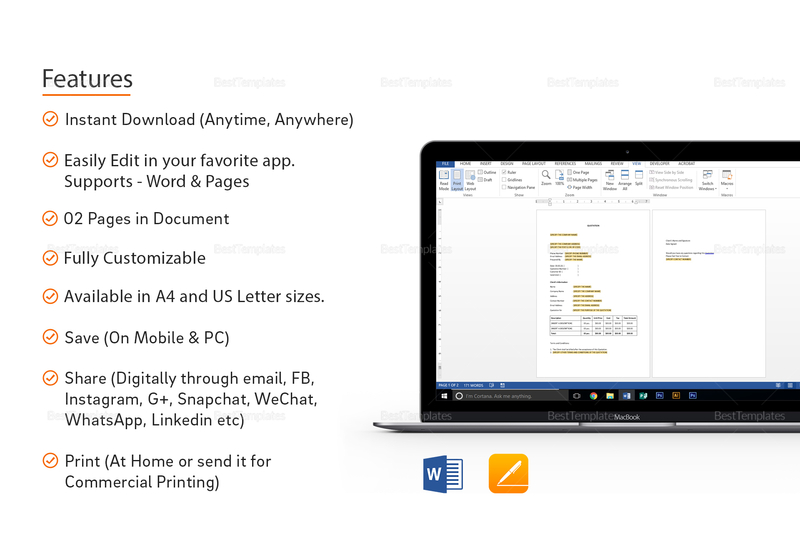 Download this through its formats: MS Word and Mac Pages.